RMC Water and Environment, headquartered in Walnut Creek, California, is a design and engineering firm focused on solving complex problems related to the state’s watersheds. 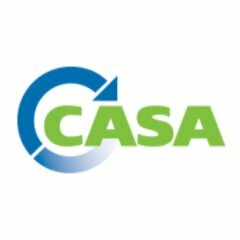 To further its work, RMC Water and Environment retains membership in the California Association of Sanitation Agencies (CASA), a leading association focused on regulatory and legislative issues related to wastewater management. Each year, CASA presents awards in recognition of the work of California’s leading water companies in the categories of Innovation & Sustainability, Organizational Excellence, Public Outreach and Education, and Outstanding Projects. All CASA members are eligible to compete for these awards, and may submit one application in each category per year. The project should ideally have reached completion within the 12 months prior to application, although previously submitted projects that did not win an award may be presented for consideration again. Selection of award recipients occurs in July of each year and is overseen by the CASA Awards Committee, which includes CASA staff and the previous year’s recipients. All applicants receive notification of their outcomes prior to the award announcements at CASA’s annual conference in August.